The rapid growth of the Asian beauty industry over the last few years has caught everyone’s attention. News and analysis pieces focusing on this growth now regularly appear in both prestigious regional and global publications. The beauty industry in Asia is now constantly praised by the business media for its ability to successfully launch innovative products at high frequency and for being able to identify and leverage nascent growth opportunities. In addition to launching innovative new products, both global and local manufacturers of beauty brands have been applauded for their efforts to understand the needs of the Asian consumer in-depth and also for the use and application of exotic ingredients and rituals to redefine the product experience. The geographic sphere of influence is also changing slowly with countries like Indonesia and Vietnam emerging as the fastest growing markets and challenging the leadership status of countries like Japan and Korea. Additionally, Asia is driving the growth of men’s beauty, with reputed analysts estimating that Asia comprises nearly 60 per cent of the global market (a proportion that is estimated to grow in the coming years) for men’s beauty and grooming products. Branding has (and will continue to have) a strong role to play in the Asian beauty industry. In addition to being demanding, the Asian consumer is incredibly brand conscious when it comes to buying beauty products. On top of the vital role that brands play, brand ambassadors also play a very strong role in the success or failure of Asian beauty brands. Procter & Gamble’s hugely successful SK-II brand uses a host of celebrity brand ambassadors across the countries in which it has a presence – Chinese actress Tang Wei, Korean actress Kim Hee-ae, Indonesian singer-songwriter Anggun, Japanese actress Ayase Haruka, and Indian-Chinese fashion designer Priscilla Shunmugam. Estée Lauder elevated the role of the Asian brand ambassador to a more global role when it got Irene Kim (Korean model and TV host) to pair with reality TV star Kendall Jenner on its new line of beauty products “Estée Edit” geared towards girls who are categorised as “rule breakers and risk takers”. Global fashion and luxury brand Chanel also has had its focus on Korea for a long time and has utilised the mass appeal of Korean pop stars like G-Dragon and CL, in addition to using model Soo Joo Park in its advertising campaigns. In 2016, Maybelline signed Taiwanese model I-Hua Wu as one of its global model ambassadors, who joined the ranks of the likes of Gigi Hadid, Jourdan Dunn and Christy Turlington. This again represents the seriousness with which global beauty brands are now looking at Asia as part of their global strategy. In India, the market dynamics are different, with homegrown brands vying with multinationals to establish their credentials in the beauty and cosmetics industry. Brands like Kaya and Emami are now competing with the likes of Lakme and L’Oréal. With penetration of beauty products still low and opportunities for growth significant, India has the potential to become one of the top four beauty markets in the world in the next decade. The use of celebrities is a tried and tested model in India and beauty brands are not shying away from adopting the same. A host of Bollywood actors and actresses endorse a range of beauty brands, which include both homegrown and multinational. An analysis of the Asian beauty industry is incomplete without an in-depth look at China. Due to its enormous consumer base and spending power, global beauty brands have always approached China with a serious intent. Brands like L’Oréal have used ambassadors like Chinese actress and singer Fan Bing Bing with success but a greater part of it is due to the effective use of digital (social and non-social) platforms. But the Chinese beauty consumer has her own share of preferences that are quite unique. Some emerging trends that are influencing the beauty industry include the preference for “holistic” beauty solutions, the emergence of niche brands, rising appeal of K-brands (beauty brands from Korea), rising clout and appeal of celebrities as brand ambassadors and the power and influence of digital platforms in beauty product marketing (the massive success of L’Oréal’s Makeup Genius app is a testament of the power of digital platforms in brand building). Amidst all this glitz, bling, star power and massive advertising and marketing spends, the Asian beauty industry needs to be cognizant of medium and long-term challenges. The first and foremost challenge, and which has no time-bound perspective, is the rise of a knowledgeable, discerning and critical Asian consumer. Gone are the days when an Asian consumer could be wooed by cheap French perfume or some American skin-conditioner. Western beauty brands are now increasingly taking inspiration from Asian beauty rituals for innovation and customisation. Take for example Erborian, which is a French-Korean beauty brand. Founded by a Korean scientist and French beauty-expert, the brand’s ethos is to share Korean beauty secrets with the rest of the world. The entire range of products combine the knowledge of Korean pharmacopeia with best ingredients, sophisticated techniques and refined French sensibility. Editors of renowned beauty magazines (e.g. Vogue) have admitted that the care, time and research Asian women dedicate towards their beauty regimes is a source of inspiration of not only Asian beauty products but also increasingly, for global brands. Impact of societal transformations: Brands need to be respectful of the fact that care and dedication is increasingly coupled with knowledge and a strong sense of understanding of individualized needs. This behavior may, at the onset, seem contradictory to the appeal and influencing power celebrity brand ambassadors have over Asian consumers, but there is always method to the madness. Even though an Asian woman or a man may look up to the current pop, film and music heartthrob, there is still a strong sense of individuality towards one’s needs, preferences and purchases. Asia represents a region that has strong social and community connections as a critical fabric, but individualistic expressions have their right place and acceptance. Beauty brands need to be able to understand this balance and communicate the right messages through appropriate positioning. A critical aspect to keep in mind is the fact that “definitions of beauty” act as the tools for establishing and maintaining individual-level supremacy in competitive, fragmented and multi-dimensional Asian societies. Societal transformations and reconfigurations of how people live their lives have a wide reaching impact in the usage and purchase behaviour of beauty products. Asian societies are in the middle of such types of transformations. According to global finance company Morgan Stanley, the availability of digital purchase platforms has significantly altered the way Chinese consumers buy beauty products. From a generation back, when everything that needed to be bought had to be bought from local state-owned stores, to the present time when there is a wider selection of local retailers selling a global assortment of products and the availability of online retailers at the touch of a smartphone button, the brand purchase funnel has seen a significant change. With rising incomes and increasing availability of reputable and popular beauty brands at their fingertips, the average Chinese beauty consumer is now aspiring to buy more premium beauty products and increasingly from global shopping destinations. Japan: AT Kearney’s research points towards a completely different phenomenon in Japan, which is always considered to be a pioneer in the Asian beauty industry. In Japan, the point-of-sale (POS) or in-store experience plays a strong role in driving both trials and incremental sales for brands. The beauty consumer in Japan has a strong preference for individualized, one-to-one consultations and does not mind having such conversations in-store (over the counter or in private). Increasingly the current Japanese generation is getting its beauty inspirations from hip-hop culture, in which darker skin tones has a stronger influence compared to “pale” complexions. In 2015, Japanese beauty behemoth Shiseido collaborated with IBM to provide all its beauty consultants with mobile apps that will offer new customer services, customer-centric product improvements and social innovations. This collaboration goes beyond the obvious need of utilising technology to significantly enhance the in-store experience. The deep underlying need was to use technology to further enhance the one-to-one consultation that Japanese consumers crave while buying beauty products. India: Going back to India, which stands on the springboard of opportunity for beauty products, societal transformations have significantly impacted the purchasing behavior of consumers. The consumption of beauty products is now happening across a wider age spectrum, and is no more the vestige of the young. There is rising consciousness about ingredients and their source, accompanied by the need for more holistic solutions. The Indian consumer is incredibly brand conscious and, in the case of beauty, always has a preference for brands that can offer complete end-to-end solutions. The beauty industry in India is strongly influenced by the salon trade, which is an important channel for brands to leverage. There is increasing demand for professional beauty therapists, which has emerged as an attractive career option. Brands like L’Oréal have established their presence in India using two key channels – retail trade for branded products and through L’Oréal Academies (which trains and educates hairdressers). A similar model has been adopted by local brands, which also include professional beauticians launching their own branded product lines or chains (Shahnaz Husain for her range of herbal cosmetics, Jawed Habib for his chain of more than 500 unisex hair salons). Definitions and perceptions of beauty in India are an interesting concoction of the traditional and modern. The definition of beauty adopted during festivals, special occasions like marriages and religious ceremonies continue to be strongly influenced by traditional norms. The definition of beauty during day-to-day life has a more modern hue, which is influenced by rising consciousness and knowledge levels about beauty brands and their offerings. The Indian film industry has a strong influence on the concept of beauty in Indian society, which varies from the strongly traditional to the ultra-modern. The spending power of the burgeoning middle class, the changing role of women and the increase in complexity of modern life are some of the other key factors that are impacting beauty regimes. More recently, and through developments in adjacent market segments, there is an increase in interest and preference for natural, herbal and Ayurvedic beauty products. These segments of the Indian beauty industry are now the hotbeds of competition between multinationals and homegrown brands. Indonesia: In countries like Indonesia, which has witnessed strong growth for the beauty industry, rising spending power of the middle class is the primary driver. The Indonesian beauty consumer is now more knowledgeable about global beauty trends due to increasing exposure to both online and offline channels. The two strongest trends in terms of beauty products usage are around “halal” and “herbal” options. The increasing popularity of halal beauty products is not only restricted to Indonesia, but is also catching up in countries with significant Muslim populations (e.g. Bangladesh, Pakistan, India, Malaysia). Getting their brands “halal-certified” is becoming a priority for organisations that want to tap into the opportunities these under-penetrated markets provide. Global brands like L’Oréal have proactively got more than hundreds of their product lines halal-certified to become viable in these economies. External factors with multidimensional impact: In addition to societal factors, aspects like changing lifestyle patterns, emerging health and wellness trends, changing environmental dynamics and a growing need for convenience are influencing beauty habits and regimes. These changes have direct impact on brands and their innovation pipelines. 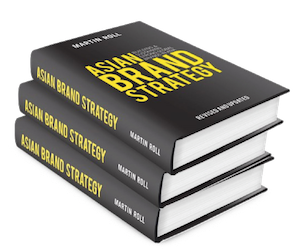 Brands that have enjoyed success in Asian markets have one thing in common (regardless of whether they are manufactured by multinationals or local players), and that is having products which are not direct imports but are developed specifically for the Asian consumer after understanding her needs deeply. Understanding the Asian beauty consumer: For multinationals like Procter & Gamble, L’Oréal and Estee Lauder, success in Asia has been driven by the development and launch of products meant for the Asian consumer. Brands like Osaio from Estee Lauder and SK-II from P&G are examples of such successes. The strengthening of the health and wellness trend across multiple Asian markets is fuelling the demand for organic, natural and herbal beauty products. It is also contributing to rising levels of consciousness among consumers about source and purity of ingredients and the manufacturing process. All these factors are significantly influencing innovation strategies of companies. As beauty manufacturers try to stay as close as possible to the consumer pulse, it is critical that they have the capability to shape the development of different beauty categories. Groundbreaking innovation needs to be able to do three things – create a category by effectively transforming existing needs, find new needs or create disruptive solutions for existing needs. Innovation: As manufacturers focus on developing and launching herbal and natural beauty ranges, it is important to keep in mind the fact that fragmentation is a common phenomenon in beauty product categories, which needs to be managed. It is equally important to ensure that the innovation behind a range launch forms the core of the range’s positioning (whether it is a new brand, a sub-brand or a new line under an existing master brand). In a crowded marketplace, real innovation always has strong prowess to act as a brand’s strategic differentiator. The emergence of concepts like “biomimetics” is pushing thinking behind the manufacture of beauty products by borrowing principles from nature (which includes understanding of the microstructure of human skin and other animals). Making products a part of the Asian lifestyle: The Asian beauty consumer has seen it all and has extremely high expectations from products they buy and the brands that sell them. In addition to health and wellness trends, busy lifestyles that combine extensive and deep beauty regimes, are increasingly seeking convenience. This need has fueled the launch of multi-functional beauty products and is pushing manufacturers to create holistic solutions under a single brand name. In light of this, beauty brands in Asia need to invest ever more strongly in building credibility around their positioning and offerings. Keeping in mind the fact that the Asian consumer is a hard taskmaster when it comes to evaluating beauty brands, manufacturers need to have sharp brand building strategies that enables positioning as holistic solution providers (instead of having a niche appeal in a single application area). Incorporating Asian values into brand concept: Asia is a region characterized by deep social connections and collectivist societies. Individualism is appreciated but within a wider social fabric that still respects family oriented behavior. The concept of beauty also differs significantly across countries and so are the traditional beliefs and practices to maintain and enhance beauty. Due to the importance of families and the strong influence exerted by society on an individual’s life, attitudes and beliefs towards beauty continue to be a balance of social norms and individual preferences. Beauty brands with strong ambitions should position themselves to be attractive with this balance in mind. Keeping up with evolving beauty standards: In addition to multinationals adapting their global strategies or even creating new ones, homegrown players also need to design brand-building strategies that address the sensitivity of beauty as a concept in the region. As consciousness increases, knowledge strengthens and empowerment deepens, the age-old accepted definitions of beauty will be overturned. Brands need to be able to respond to such fundamental changes in outlook. The need to “look fair”, one of the long-standing accepted definitions of beauty in Asia, is increasingly getting challenged. The importance of ethnicity as a factor influencing brand purchase is also gaining in strength. Even though Korean beauty products have a strong regional appeal, the opposite is not true. The inflow of Chinese beauty products in their markets is increasingly irritating Koreans. The Japanese and Korean concepts of beauty, and more specifically, attitudes towards skincare are remarkably different. These attitudes and beliefs are now being challenged from multiple dimensions and the future is pointing towards an amalgamated set of beliefs, which again include a balance of traditional and modern. As the Asian beauty industry solidifies its global presence and increasingly starts influencing and shaping global beauty trends, it is critical for it to not lose focus in its home territory. Brands have a strong role to play in defining the growth path of the industry, and local brands have an even stronger one. Category involvement, levels of trust, need for customisation, need for personalized attention and seeking out expert advice are all very high among Asian consumers when it comes to beauty products. With age-old beliefs about beauty being challenged, increasing exposure to global beauty trends coupled with the availability of world-class beauty products has made the Asian consumer empowered but also confused. Beauty brands should start considering their roles beyond solutions of beauty – like vehicles of empowerment and confidence building solutions. Brands need to exponentially magnify the levels of trust they can exude and deliver on to be successful. Ongoing and future changes in societal structure, individual and collective thinking, beliefs and practices and the ability to absorb global thinking but still retaining their national identities is going to be transformational and significantly disruptive in Asia. The beauty industry will be at the forefront of these changes and its success or failure will be defined by its adaptability to these changes, and its ability to forge a clear and distinctive path forward.